Some of the best research I have come across concerning music and brain development has come from articles authored or co-authored by Dr. Nina Kraus of Northwestern University. I am grateful that she shares her work online. Here are a few of her articles that I think you will find interesting. Dr. Kraus and her associates have proven several items which are of interest to families of young children. 9) Kraus stresses that life-long music making is important to auditory processing. Note that this is not life-long music listening, but life-long music making. So what we can learn from this research is that music and language skills are related and children who have musical training are better able to cope with noisy classrooms, crowds and focusing in on what they want to hear in their environment. We further learn that music making helps us with memory, with interpreting emotion and language and may make us more effective communicators by taking the “harmonic jitters” from our voices and smoothing them out so that they may be more pleasant to listen to. So how can we help our children to become life-long music makers? Music making is something that is passed down through generations. An online baby music class that makes parenting easier and more fun. 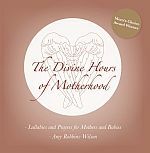 "Amy Robbins-Wilson has written a book that is honest, non-judgmental, and which honors mothers for the TRUE complexity of motherhood." "I can not imagine a better way to lay a child to rest. The artist has the most angelic voice. Her work is like a whisper to the soul." 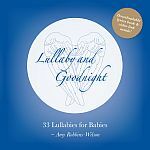 "...he was completely silent, no crying, no fussing, just absolutely silent, then I realized he was listening intently with every fiber of his body to the music, and after a good ten minutes of this he was sound asleep. Awesome!!! But the really really cool part is that I enjoyed the music too! It wasn't just silly nursery rhymes I didn't care about it was beautiful and ancient angelic sounds and lyrics that made me feel enveloped in a sacred space of beauty and importance. Like I was being honored and nurtured and held for being a mother"